There may come a time when your only option is an unsecured, free, public WiFi hotspot, and your work simply cannot wait. 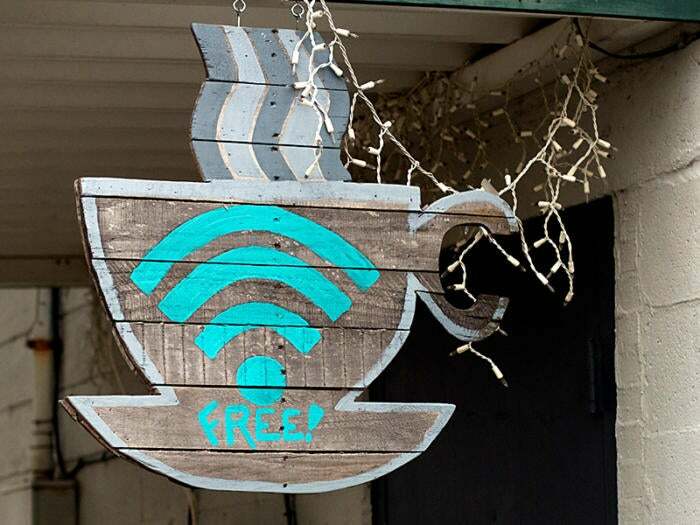 If that’s the case, understanding the risks of public WiFi may prevent you from falling victim to an attack. If you don’t have access to a VPN. you’re not completely out of luck. You can still add a layer of encryption to your connection. When browsing the internet, be sure to enable the "Always Use HTTPS" option on websites that you visit frequently, including any and all sites that require you to enter any type of credentials (most websites that require an account or credentials have the "HTTPS" option somewhere in their settings). Be honest, when connecting to the internet at Starbucks or on the road at the airport, do you really need to have file sharing turned on? Not likely. File sharing is usually pretty easy to turn off from the system preferences or control panel, depending on your OS. Or let Windows turn it off for you by choosing the "public" option the first time you connect to a new, unsecured network.